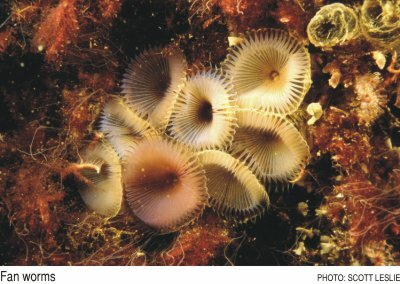 FOR MOST PEOPLE, the cold and often rough waters of the Gulf of Maine don't evoke images of corals, mammals or a wide assortment of marine life. That's why the recent “Gulf of Maine Register of Marine Species,” the first extensive count of species in the region, was so surprising. It revealed 3,317 species, or about 50 percent more than the 2,000 previously estimated by scientists. That number encompasses year-round and migrating marine life, including 652 kinds of fish, 184 birds, 14 deepwater corals and 32 mammals. Most notable, perhaps, was the extent of microscopic plants, including algae, which account for 733 different species. Incze also is director of the Aquatic Systems Group and chief scientist for the Bioscience Research Institute at University of Southern Maine (USM) in Portland. USM collaborated with the Huntsman Marine Science Center of St. Andrews, New Brunswick, on the project, known as the Gulf of Maine Program of the Census of Marine Life. The program is one of seven initial field projects of the international Census of Marine Life, and it is the only ecosystem-based field project. “This register is the first step toward understanding the Gulf of Maine as a whole ecosystem,” Incze said. “This lays the foundation for the next step, which is to understand how these species interact with each other and their surroundings to make the ecosystem work.” Incze and project director Evan Richert, also of the University of Southern Maine, are heading the program. The register involved assembling databases and scientific papers on species known to be in the Gulf of Maine. Planning for the massive undertaking started in 1999. The current funding for program development and coordination, database development and working group activities is from the Alfred P. Sloan Foundation. It began in January 2003 and runs for three years. The program aims to operate through 2010, with new projects needing additional funding. So far, the scientists have produced a searchable register for the Gulf of Maine and neighboring waters, including the southern half of the Scotian Shelf, the adjacent Slope Sea and the New England Seamounts. The Scotian Shelf and Slope Sea have major influences on conditions and biota in the Gulf of Maine. And the Seamounts are under pressure for resource harvesting. They offer an interesting contrast with the neighboring Slope Sea. The Huntsman Marine Science Center prepared the searchable Gulf of Maine register as part of a larger register covering the northwest Atlantic from the Arctic to Cape Hatteras, North Carolina. Huntsman researchers and curators Lou Van Guelpen and Gerhard Pohle mined literature dating back 100 years for species records. They also assured that the list uses standard species classifications. The register is in preliminary form, and will be commented on by other scientists and updated going forward. But it already is providing a baseline for scientists to monitor future losses or introductions of species resulting from climate change or other influences. “Though the Gulf of Maine is one of the most intensively studied bodies of water in the world, there has never been an undertaking to compile all species living there,” Van Guelpen said in a statement when the census results were released. The oldest species description in the register was by Europeans and dates from 1753, Incze said. It is the green alga Ulva lactuca, commonly called sea lettuce. He said he is not surprised by the finding, because the first people who studied the ocean were botanists. The newest organisms to science are five species of flatworms that were described in 2003. 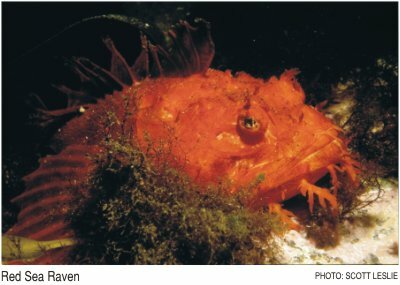 Further exploration of the New England Seamounts is expected to provide the first records of plants or animals also found in other parts of the world, such as the Mid-Atlantic Ridge or the eastern North Atlantic. One surprise to many people was the number of deepwater coral - 14 known species that were found in the past decade. This number is somewhat inflated because the current register includes areas close to the Gulf of Maine like the slope, Incze said. He added that Professor Les Watling of the University of Maine said there are fewer corals in the Gulf of Maine itself. Perhaps the biggest surprise of the survey was the large number of tiny species, Incze said. They account for about one in five species in the Gulf of Maine region. And they may play a large role in the ecosystem. 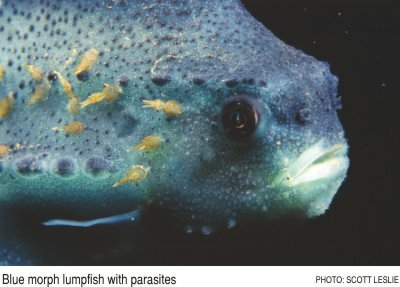 “Gelatinous zooplankton have not been studied a lot, and they may be competition for crustacean zooplankton,” Incze said. “So if there are shifts in populations, that could be very important for fisheries production.” He said it also is important to know what might be driving a population shift, that is, whether it is human- or climate-driven. Incze said the total amount of diversity is staggering, but the specific organisms will not be known anytime soon. Species that are particularly understudied are viruses and bacteria, which typically are found in secondary sources, such as when they infect another species. In the microbial community of species, the census shows fewer than 1 percent of bacteria and viruses are known. That contrasts strongly with most fish, birds, mammals and phytoplankton, which are known. One way to try to discover the unknown species is to examine areas that have been understudied, like soft sediments. “There's a huge reservoir of information about life out there,” Incze said.